Our love affair with the BFI’s LOVE season continues. 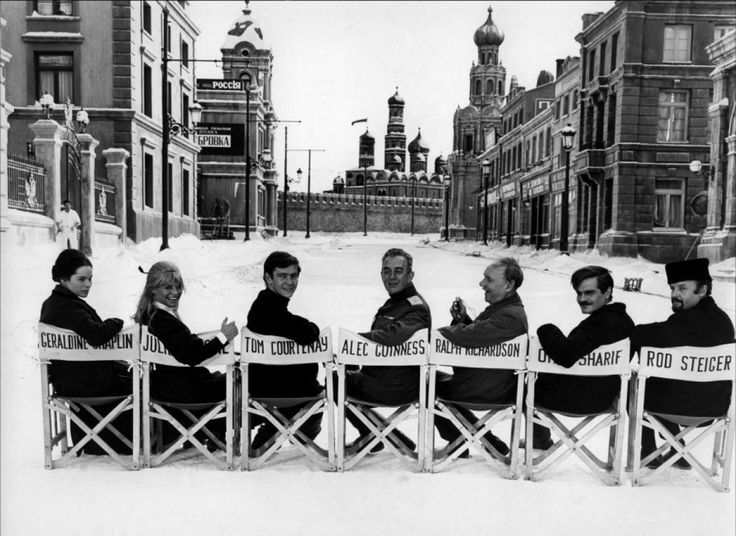 Viv Wilby revisits David Lean’s Doctor Zhivago. It’s a bit odd that the BFI has chosen Doctor Zhivago as the centrepiece of its LOVE season. Maybe the 50th anniversary of its release made it all too irresistible. There’s not very much love story in Doctor Zhivago. Oh sure, there’s passions and affections, but the lovers don’t even meet until a good, ooh, 90 minutes, into the film. They don’t kiss for at least another hour. Stuff just keeps happening, you see. Other stuff, that keeps them apart, that gets in the way of life and love. “I want to live!” says Dr Yuri Zhivago at various points, or words to that effect. “You have your revolution, I will live my life.” It’s significant that he eschews a career in medical research in favour of general practice. More life that way. After the very hot and sweaty and blokey Bridge on the River Kwai and Lawrence of Arabia (nary a woman in either of them), David Lean went cold and sparkling and feminine with Doctor Zhivago, his adaptation of Boris Pasternak’s hugely popular anti-Soviet novel. Julie Christie and Geraldine Chaplin are the film’s blonde and brunette angels, swathed in furs, dazzling against the snow. Christie gives probably the best performance of her good mid-60s run as Lara, Zhivago’s muse and mistress. Where she can often be aloof and enigmatic, here she is fleshy and sensual and warm. Chaplin, as Zhivago’s charming, gamine wife (Lean had wanted Audrey Hepburn for the role) gets the best dresses. Lean had done angsty adultery before, of course, in Brief Encounter. But instead of the tight focus of that film, here the canvas is expansive in both time and space. There is separation and loss and searching and longing over years and Russia’s vast expanse. The story is told in extended flashback: we begin at the end of the Stalinist period, when the harshness of the Communist regime is beginning to thaw. The story proper begins well before the 1917 revolution, well before the start of the First World War. Throughout this time we roam with the characters over thousands of miles – the long, hellish train journey from Moscow to the dacha in the Urals is the film’s standout set piece. The cast is international and starry and there’s great fun to be had watching them spark off each other. There’s a fascinating mix of actor-types, from classical theatrical British, (Alec Guinness and Ralph Richardson), classical theatrical Irish (Siobhan McKenna and Jack McGowran) British New Wave (Tom Courtenay, Rita Tushingham and Christie) and American Method (Rod Steiger). There’s a memorable cameo by Klaus Kinski as a raging, chained prisoner and Alan Bradley from Coronation Street has a small, expository role in the film’s opening scene. At the centre of it all is Egyptian matinee idol Omar Sharif as Zhivago. He reportedly had to endure many painful hours in makeup to disguise his Mediterranean looks. His hair was straightened and his hairline raised and I swear they did something to his eyes to make them larger and rounder and more glistening. He still never looks particularly Russian or Eurasian, his slight ethnic difference sort of works; Zhivago is supposed to be from the eastern part of Russia, while the other characters are chiefly Muscovite. In any case, as the BFI programmer noted at the screening, Lean was never very interested in ethnic authenticity, so neither should we be. Sharif remains, it goes without saying, utterly gorgeous: and he and Julie Christie are so beautiful together it almost hurts. Everyone is good, although Guinness is too old and miscast as Zhivago’s half-brother, the seditionary Yevgraf, and I find Tom Courtney a little less than convincing in his later scenes, which remind me too much of Billy Liar’s fantasies. The best work is probably done by Rod Steiger as Lara’s seducer, the cynical and debauched, but complex and human, Komarovsky. Steiger’s not really good looking enough — Lean had wanted Marlon Brando, then James Mason — but it doesn’t matter and his beefiness offsets Sharif’s delicacy nicely. I like Hollywood epics – if you don’t, you might find this film a bit of a bore – and I’d seen Doctor Zhivago many times on TV, probably on a Bank Holiday, perhaps not always the whole thing at once, but enough to make me think I knew it pretty well. Watching it properly on the big screen is great at showing you what you’ve never really appreciated before. There are some wonderful sequences and images: the aforementioned train journey, particularly the cinema-screen shaped sheet of ice clinging to the side of the train that is smashed by the passengers to reveal the Ural landscape beyond; the Cossack attack on the demonstration that leaves blood on the snow; a weary army battalion being persuaded to mutiny and overpowering their officers; the strangeness of the abandoned dacha at Varykino, transformed into a winter ice palace where Lara and Zhivago can finally be together. I was unbearably moved by the early scene of Zhivago’s mother burial, the long shot of the tiny train of mourners, almost lost among the Steppes (NB. Lean shot in Spain, Finland and Canada, not in Russia); the mother’s weird, waxy corpse, the priests chanting, the wind howling in the trees, the little boy’s attention divided between his mother’s body and the waving trees (a leaf blows onto the body at one point). He imagines his mother in her coffin as the earth thuds on the lid. It clearly puts Zhivago – here just a child (and played by Omar Sharif’s real life son Tarik) at the centre of events but also somehow outside them, always watching and witnessing. Later, he watches, horrified, from a balcony as peaceful protesters are massacred and even in the stinking conditions of the train out of Moscow, peering out through a tiny window, he finds beauty in the Russian landscape. Indeed, it’s striking how much windows are used in the film: Zhivago first sees Lara through a window, Lean’s camera is always passing through them. This isn’t a political film. It’s not very interested in the righteousness or otherwise of the Russian Revolution. Perhaps that’s a weakness. If you go searching for political messages or a history lesson, you might find it a bit glib and shallow. Pre-Revolutionary Moscow looks like a fine place, with all the shops done up for Christmas with twinkling lights. There are lovely restaurants and new dresses and musical soirees. The family who raise Zhivago – the Gremekos – are generous liberals who live in a richly furnished townhouse and send their daughter to school in Paris. After the revolution they have to share this with a couple of dozen of comedy ugly poor people, an imposition the Gremekos suffer with dignity and grace. Culture, including Zhivago’s own poetry, is suppressed. Revolution is bad if you are rich and beautiful and have a poet’s soul. Life has to be lived.